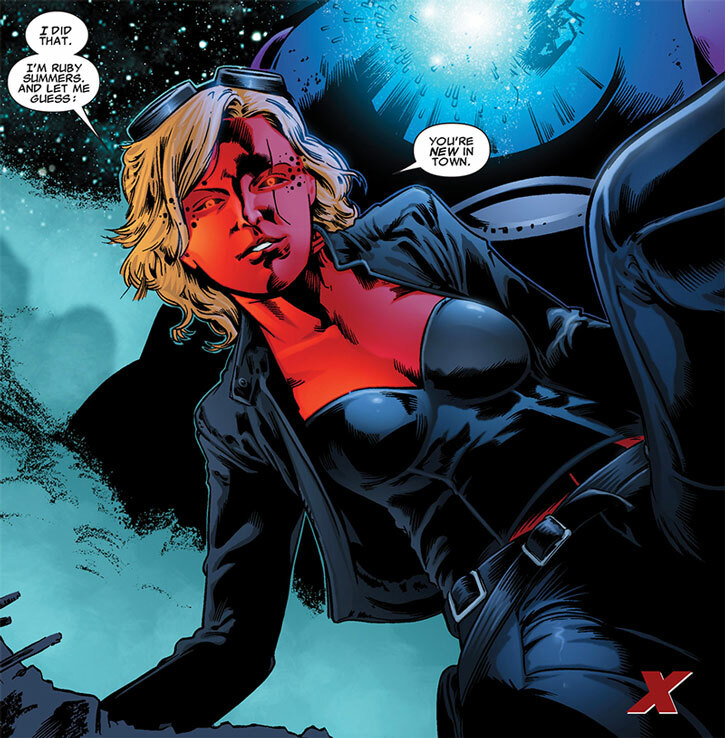 Ruby is the daughter of Cyclops and Emma Frost in a possible future of mutant oppression. The History section doesn’t spoil everything, but there are nevertheless significant S P O I L E R S about 2008-2009 X-Factor story arcs. Known Relatives: Scott Summers (aka Cyclops, father), Emma Frost (mother, presumed deceased) and from there the entire Frost genealogical tree and Summers genealogical mangrove. Base Of Operations: Atlantic City. Height: 5’9” Weight: 280 lbs. Ruby has an unclear level of superhuman strength and durability. Our game stats assume about “Class 5” strength as a conservative placeholder value. Based on her mother’s secondary mutation, it is likely that her body is made of a gem-like material. If so it makes her much denser and heavier than a typical human, and would explain her strength and durability. Summers can morph between her gem-like body and her normal flesh body. However, she hasn’t done so in decades. In her superhuman body she doesn’t age or have significant vital needs – and she fears that if she switched back all the deferred ageing might instantly catch up with her. Like her dad, Ruby can unleash an optic energy blast. One assumes that her body shares properties with the quartz ruby her father used to contain this energy, thus allowing her to function without blocking goggles. Ruby’s optic blasts are black with dark red highlights, and seem to be extremely powerful – one-shotting most opponents. However, she needs to rebuild her energy reserve between discharges. One statement is that it takes 93 seconds to do so, but in her appearances she seems to chain shots faster than that. Perhaps the 93 seconds value was valid when she was younger and less well-trained. She was trained in combat by her father. Therefore, her optic blasts are very precise and she can make ricochet shots, albeit perhaps not as complex as Cyclops’ most impressive ones. Ruby Summers seemed to be quite charismatic, strong-willed, and a leader. Ruby Summers exists in the Earth-1191 timeline. This alternate future is best-known for being whence Bishop (Lucas Bishop) of the XSE comes. The storylines Ruby was involved with occur 80-ish years in the future, at a point where Lucas Bishop is still a little boy. 1191 is one of the dystopic futures dominated by mutant-hunting Sentinels and mutant concentration camps, much like Earth-811 (“Days of Future Past”). The specific course of events that led there was engineered by time traveller Damian Tryp, manipulating a human named Anthony Falcone after Falcone’s parents were killed by mutants. Ruby is the daughter of Cyclops (Scott Summers) and Emma Frost, the former White Queen. Though Emma is apparently deceased, the aged Scott is still partially alive thanks to clunky cybernetic prostheses. Scott and Ruby have seemingly been on the run from the government for decades, trying to coordinate the efforts of mutant rebels – though these gradually dwindled to almost nothing. Ruby herself is aged 80 or so (making her dad 110+). But she permanently stays in what seems to be a quartz-ruby form merging her mother’s secondary “diamond” mutation and the material naturally able to contain her father’s optic blast. This form is unageing, making her look in her early 20s. The Summers’ struggle for mutant freedom was supported all along by the mutant Layla Miller, who knows stuff. For instance Miller told Scott and Emma to name their newborn daughter Ruby, even though Ruby’s gem-like form would only appear at puberty when her mutant powers went live. Ruby was in a relationship with a young mutant named Trevor Fitzroy, but he reportedly died – presumably slain by Sentinels. Ruby lovingly stuck by her father all these years – even though he had become more machine than man, he remained a good person committed to the cause of mutant freedom. As the cause seemed hopeless, Scott and Ruby Summers hid for years in the deserted ruins of Atlantic City. Layla Miller had not been seen in two decades, but Scott still believed that she would one day come back with vital intelligence – a faith that Ruby didn’t share. However, Miller did show up and told them it was finally time for revolution. Though the mutant “threat” was firmly under control, baseline humans had been growing uncomfortable with the authoritarian human government over the decades. Layla Miller (who knows stuff) was aware that a tipping point was approaching. She launched a very successful rumour about the government having a secret project to test every American citizen for traces of mutant ancestry. This seemed credible because it was true, albeit the project had been developed under utmost secrecy. Miller also recruited a young human named Dwayne, and told Ruby that it was critical she rescue a fugitive mutant named Linqon. When the President announced that thorough genetic controls were indeed about to be rolled out and enforced by Sentinels and the police Ruby, Dwayne and Linqon were present at Times Square. Ruby then stepped up and into History to launch the Summers Rebellion. These would eventually depose the government, free the mutants from the concentration camps, and open a new, albeit uneasy, era of mutants/humans cohabitation. 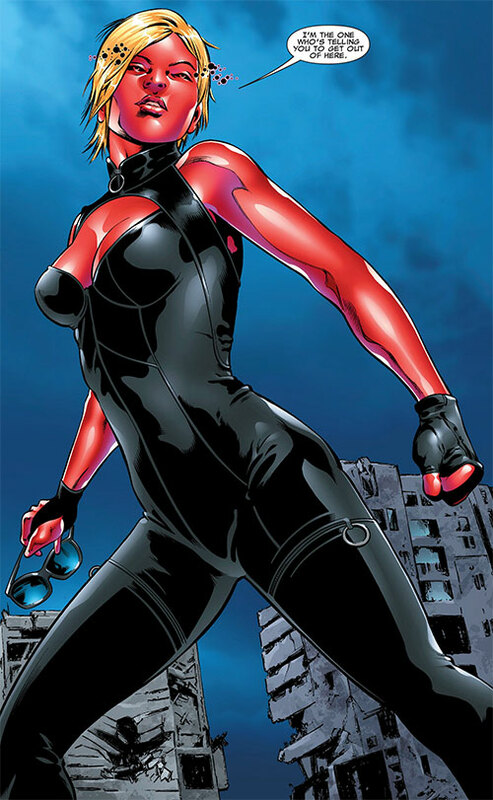 One of Ruby’s mutant allies, Hecat’e, would then go on to found XSE (Xavier Security Enforcers), a mutant police corps that young Bishop would later join. An obscure but critical aspect of the Summers Rebellion involved more time travel. Layla Miller — who knows stuff — went to great lengths to briefly jump back to the past to bring Earth-616’s Jamie Madrox to the Earth-1191 future. 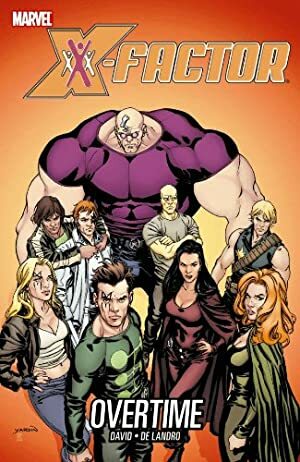 Part of the governmental response against the Summers Rebellion had been to sent Cortex (an altered, very powerful Jamie Madrox duplicate) into the past to kill the parents of future rebel leaders. 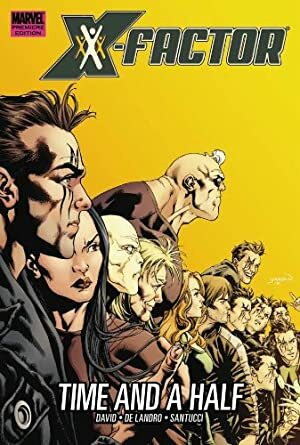 Hating Jamie Madrox and his detective agency X-Factor, Cortex chose to do so in 2009, so he would have a chance to run into X-Factor members and kill them. However, X-Factor operative Longshot foiled Cortex’s attempt to kill Hecat’e’s mother, and Hecat’e only ceased to exist for two seconds. Earth-1191’s Cyclops tasked Madrox with investigating what had happened to Hecat’e. The detective from the past swiftly deduced that time manipulation and Dr. Doom were involved. He was 100% correct. Cortex was relying on Doomlock-enhanced time travel. This invention of Dr. Doom squished temporal variance and made it possible to affect one’s future while in one’s past, rather than simply trigger the creation of a divergent timeline. Thanks to Madrox’s deductive work and his willingness to work with a senile, haphazard Dr. Doom, both Cortex and Anthony Falcone were taken down and expelled from the Earth-1191 timeline. This marked a critical step toward the rebellion’s eventual success. During Madrox’s work with Doctor Doom, Trevor Fitzroy turned up alive – to Ruby’s unabashed joy. He immediately joined the Summers Rebellion ; though he did not understand what his mutant “banishment portals” did, they were a very powerful weapon. Cyclops has already warned his daughter about Fitzroy. Years down the the Earth-1191 timeline, the young man would somehow become an horrific, sociopathic mass murderer clashing with the XSE. He would eventually flee back to 1991 and repeatedly fight the X-Men then. Ruby refused to believe that it was inevitable, and hoped that she would prevent whatever would make Trevor into a monster. During the final clash with Anthony Falcone, Cortex shot Trevor Fitzroy dead. Desperate, Ruby sent for Layla Miller – as Summers was one of the few who knew what Miller’s actual power was. Beyond knowing stuff, Layla could resurrect the dead. What Ruby wasn’t aware of is that resurrectees came back without their soul. Layla tried to explain it to Ruby, as she knew that the lack of a soul was what would turn Trevor Fitzroy into a sadistic monster. However, Ms. Miller didn’t find it in her to refuse the charismatic Ruby’s pleas, and resurrected Fitzroy. What happened to Ruby Summers between the Summers Rebellion and Trevor Fitzroy fleeing the XSE to 1991, with XSE agent Bishop on his heels, is unrevealed. Ruby does have a resemblance with her mother, and like her she favours tight leather ensembles. She often wears women’s designer sunglasses or (in combat) goggles, presumably as a visual reference to her father. Her elegant poses and general airbrushed sexiness are also reminiscent of her mum’s. Her optic discharges are accompanied by Kirby dots around her eyes, which float around for a bit as she starts recharging. Though for decades she faithfully assisted her aged cyborg father and hid to protect him, Ruby isn’t a shrinking flower – she’s just very disciplined. Ruby actually is a brash, charismatic, assertive, take-charge lady with far more experience than her youthful appearance suggests. Albeit Ruby had grown sceptical about the mutant cause, thinking that it was over and done with, the guidance of Layla Miller (who knows stuff) showing her that the “norms” were ready to follow her changed everything. Still, the rebellions lasted for years and were harsh for all involved, leaving Ruby a hard-nosed and realistic decisions-maker — not unlike her parents. Mental blast takes 7 full Phases to recharge between shots. Alter-Ego (Never actually used), Credentials (Summers Rebels, High), Life Support (No Need to Eat or Drink (only in quartz-ruby form)), Near-Immortal (Only in quartz-ruby form). Authority Figure, Creepy Appearance (Ruby doesn’t dare revert to her fleshy form), Dependent (Cyclops, 0 points), Mistrust. Source of Character: X-Factor (2006 run) (Marvel Universe). Writeup completed on the 3rd of September, 2014.